Wednesday was haul out day, but it dawned such a lovely morning that it seemed a shame to waste it. 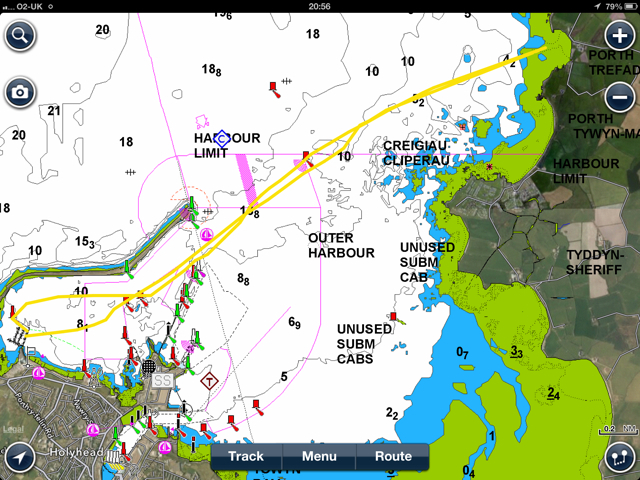 So it was, we decided to sail across the bay to a small sandy beach and anchor for swimming and lunch. A new addition to the harbour was a cruise liner, which certainly looked impressive, so we to the opportunity to sail close along her sides as we made our way through the harbour. 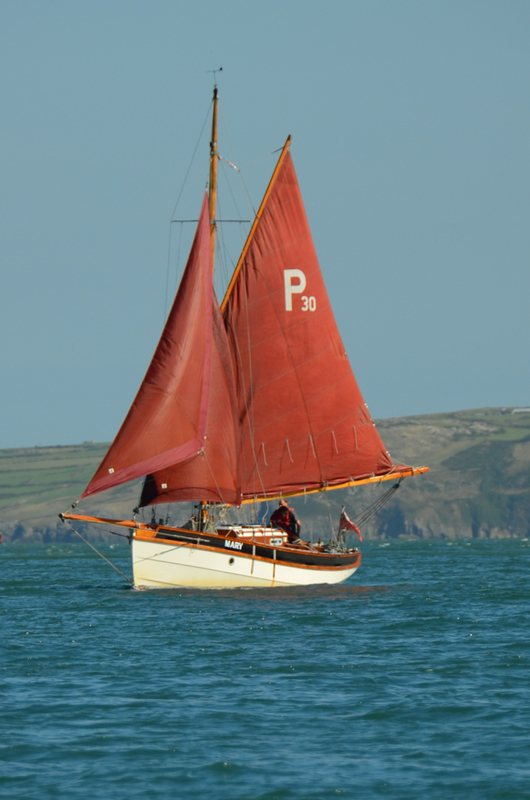 The wind was very light and we fetched gently across with all sails. Porth Trefadog was technically a lee shore, but the wind was so light that there was almost no swell at all. Therefore we motored into the narrow cove and then did a 180 degree turn, before dropping the pin and then reversing firmly to dig it in. After a pleasant interlude, we had to face up to returning to port and recovering the Aurora onto her trailer. The wind had died completely, so it was a motor back. 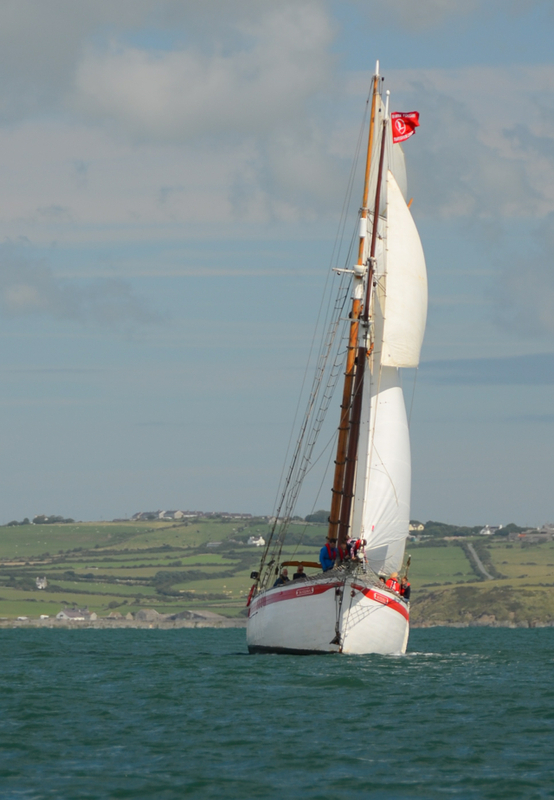 I was thus able to use the time to take off the sails and prepare for de-rigging. We had been offered use of the lifeboat slipway to recover, which has a good steep surface. It was almost high tide when we pulled aurora out and it was a textbook recovery. 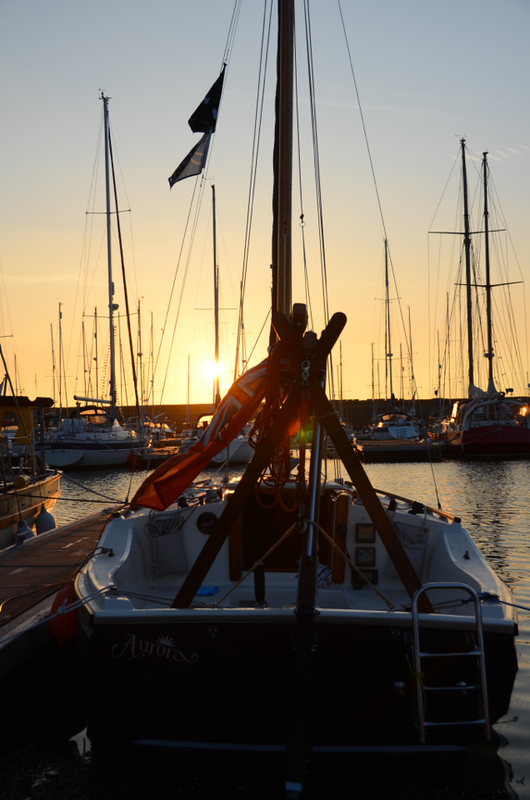 Overall a very successful trip, a most enjoyable Old Gaffers Association gathering and we have been made to feel most welcome by Holyhead Marina. Sunrise on Tuesday was spectacular but by the time we got up, the sky had clouded over and rain was threatening. 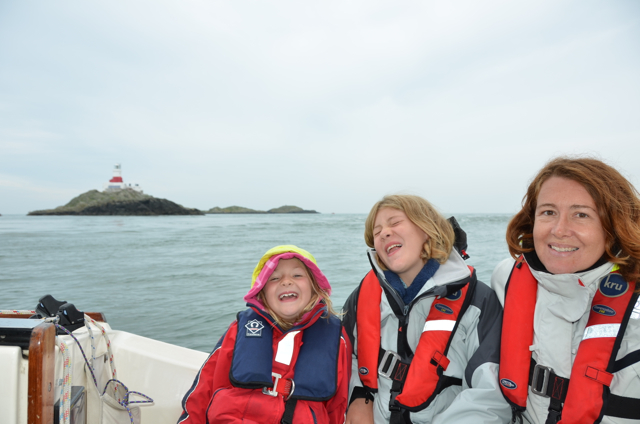 Despite the slightly uninviting weather, we decided to make for the Skerries, a group of islands off the North Western corner of Anglesey and some 10 miles from Holyhead. 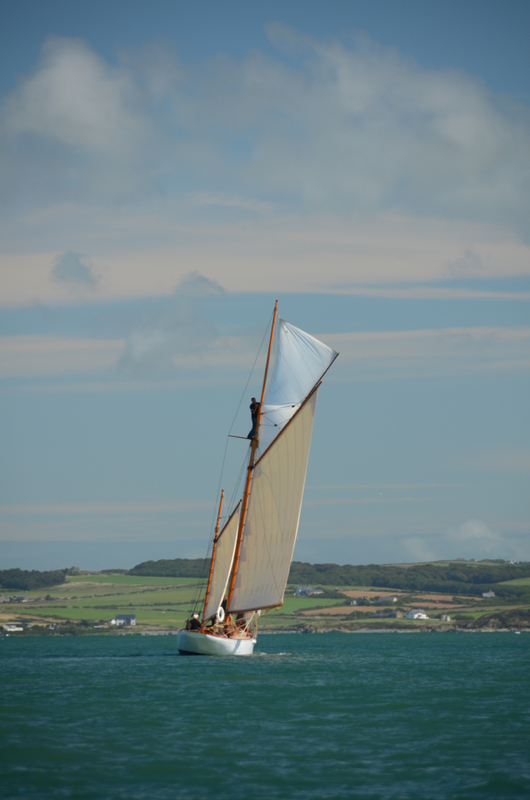 The winds were light and North Westerly, so we beat along Holyhead Bay rather slowly, but it was lovely to sail with all the canvas up. We had a fair tide carrying us along, so although our speed through the water was modest, we made reasonable time. Dropping sails, we motored finally into the small lagoon between the main islets and below the lighthouse. We surprised some large, frisky seals and picked up a mooring, which I had been told had only been laid the day before! 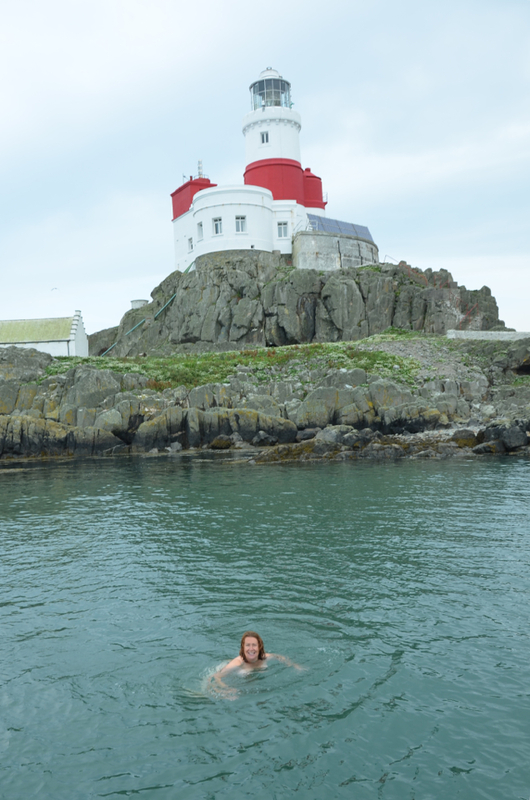 Skinny dipping and hot drinks were had, shortly before several other boats arrived for the HW slack. One of the boats, a RIB of RAF Valley, offered us a lift ashore, so we were able to stretch our legs. 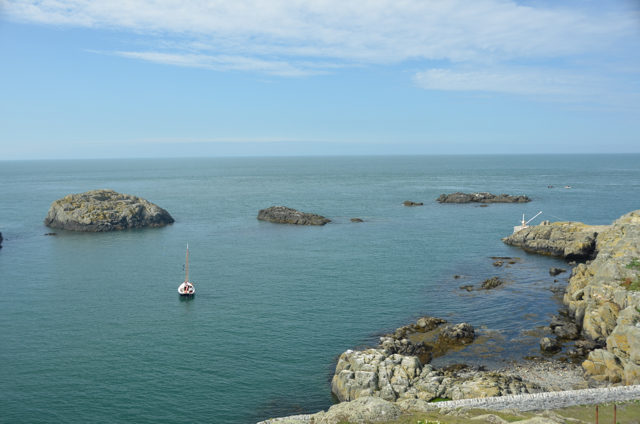 The sky had cleared and the sun was out by now and we were afforded marvellous views of Anglesey, the lighthouse and our little ship in the lagoon. After the tide had turned, it was time to make our way back and although the sun was shining, there was very little wind. Even with the ebb to carry us along, there was not enough wind for steerage, so we had to admit defeat and wake up Mr. Honda. Nevertheless, it was a pleasant plod back to base. This year, we have been very lucky with the weather with clear skies and fair winds for nearly the whole time. 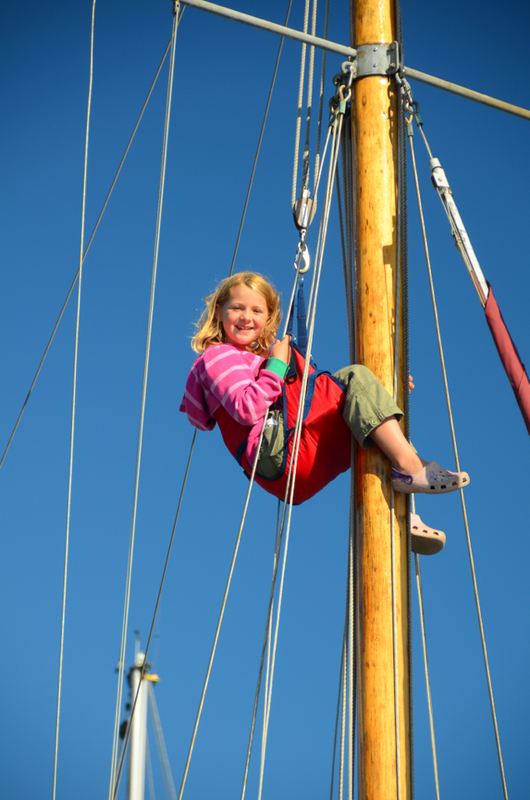 Talking to Sally and Rob, of Mary (a 30 foot pilot cutter), we decided to do some ship-to-ship photography and during the preparations, Alice saw their son in the bosun’s chair and asked to go aloft too. Alice and Aimee both went up, Alice seems to have the best head for heights. There was much going on ashore, but the main event for us were the parades of sail. These spectacular procession is tremendous fun, especially for the kids. 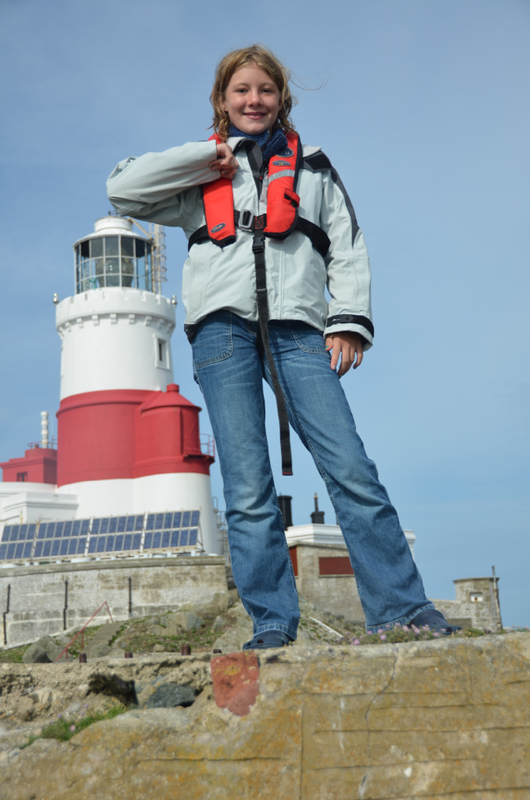 All kinds of gaffer, from small open boats to the larger craft take part, ex-working boat and yacht, gaffer and square rigger. 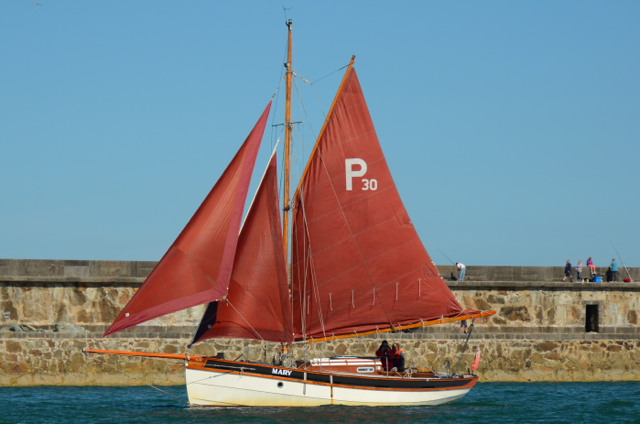 The event is timed for high water, so all the boats can sail very close to the promenade, sailing club and main marina pontoon. Two of the larger boats had cannons fitted for the event and were firing off volleys as boats passed them (only smoke rings fortunately!) and these shots were answered by cannon on the promenade too. Lots of water squirting and splashing is involved too, so the washboard was definitely fitted and sadly no photos. 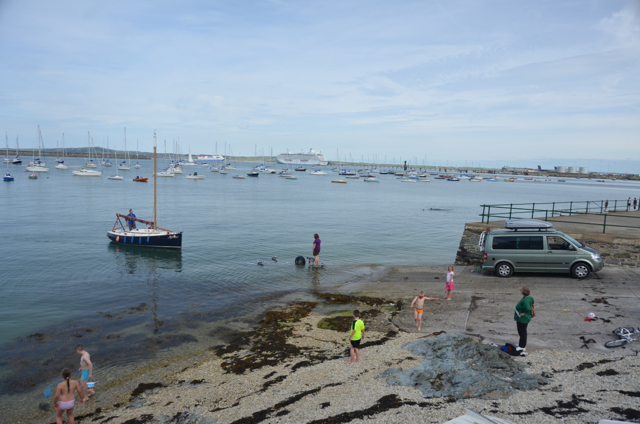 Monday was too nice a day to spend ashore, so we went for a sail in the afternoon, across Holyhead Bay to Porth Trefadog, where we anchored for a swim. 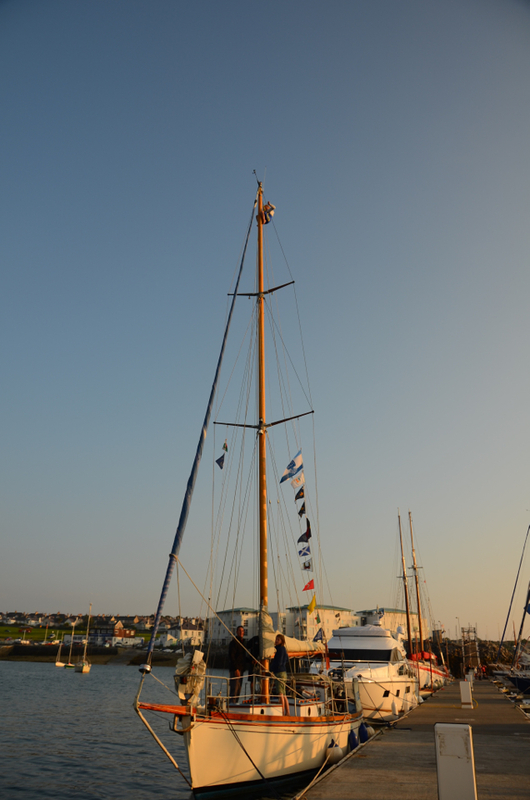 The day was rounded off with drinks aboard Vilma, during which both the girls were delighted to be offered the chance to be winched to the top of Beltane’s 50 foot mast. 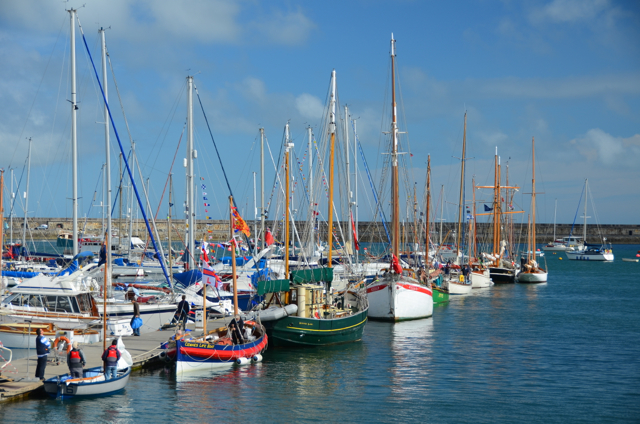 The Traditional Boat Festival is held each year at Holyhead Marina and is organised by the Old Gaffers Association. This was its seventh year (our second time) and attracts a range of traditional craft of all sizes. 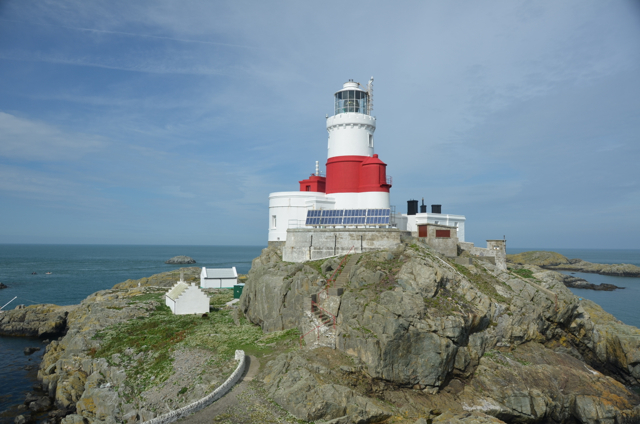 It’s an easy trail for us to Holyhead and I chose a longer route which avoids the winding mountain roads of mid Wales and brings the benefit of the very scenic drive across the coast of North Wales. Having rigged up, I elected to use the lifeboat slipway at Holyhead Sailing Club which is a good concrete ramp, rather than the gravelly slip of the marina. The weather was very peaceful all day on Friday, but grew very windy overnight, so I had my doubts about the sailing for Saturday. 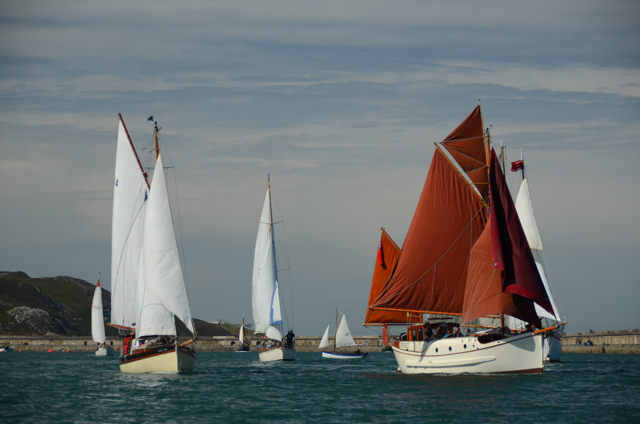 As it turned out, the wind abated to a wonderful sailing breeze and the main event of the festival’s first day was a race. This proved to be very exciting; Niki helmed very effectively and the girls had a wonderful time. 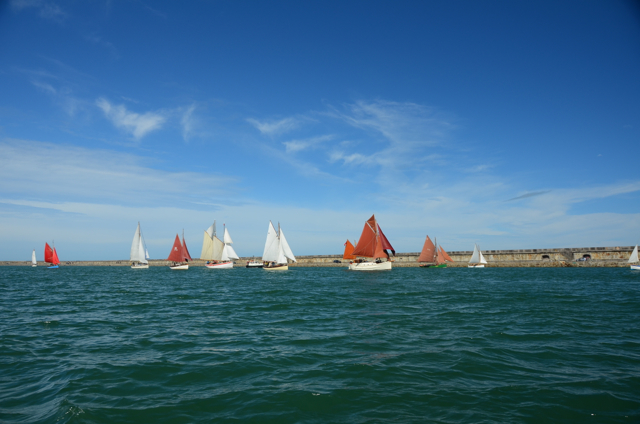 So many beautiful boats under full sail in the sun made a beautiful sight. We had a problem with our Yankee (again! 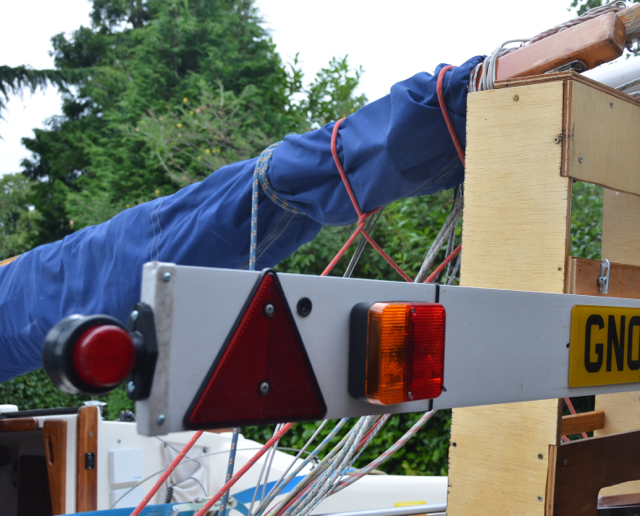 ), but I have now tracked this down to a problem with the furling drum and I hope this is now solved. The next sail will tell us…. The day was rounded off with a tasty meal in the sailing club followed by some music. They say discretion is the better part of valour. Well, with two wettish days and a crew mutiny (they’re a fair-weather lot! ), I decided to knock the trip on the head. We awoke on Weds morning after a clear and beautiful night in Barn Pool to a windless morning with a lovely sunrise and then heavy rain. 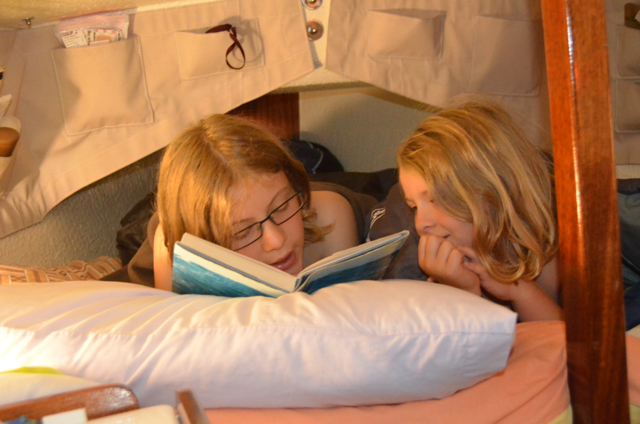 We whiled away some time below to see if it would ease. I looked at lots of weather forecasts trying to find one I liked, but could not find any giving us dry weather in the next couple of days. There was also a lot of wind to come apparently. Consequently, we spent put into Mayflower marina and had a day in Plymouth. 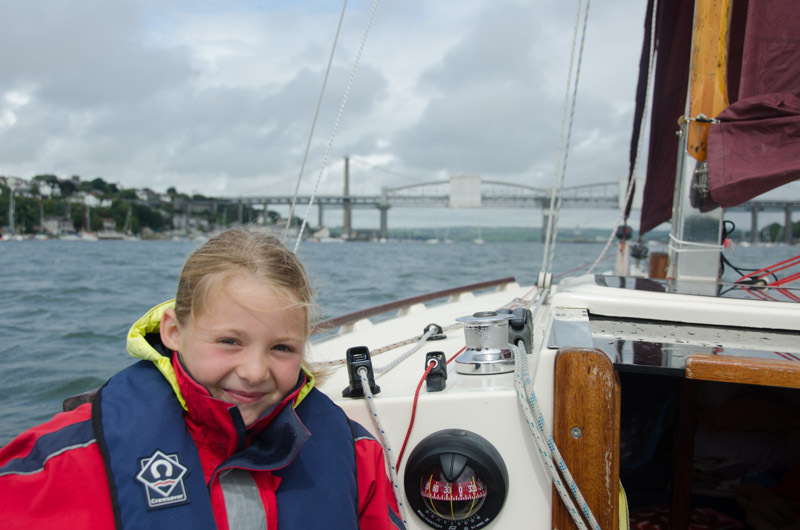 The following morning, I decided to knock things on the head and we sailed up the Tamar back to Saltash. 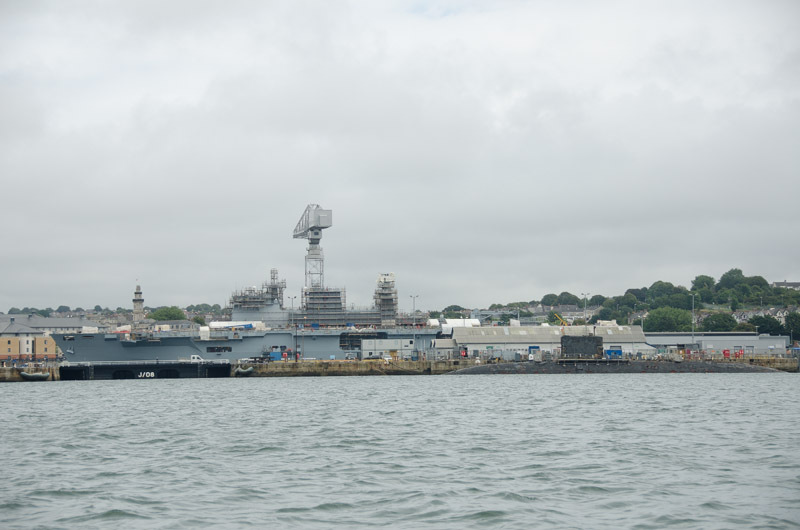 It was interesting sailing past the navy ships in Devonport and admire the Tamar bridges as we sailed under them. An easy recovery at half tide (quite a lot of current across the slipway) and a smooth packing up (aided ably by Aimee) was followed by an uneventful journey back up the motorway. Thank goodness for the kindness of strangers! The intention of this current trip is to make a one-way passage. I have set myself the challenge (sailing and logistically) of making a trip of a number of days, which starts in one place and finishes in another. The strategy is to find a suitable launch for Aurora in one place, close to a railway station. We then make a passage of a few days and end up somewhere with a suitable slipway to recover Aurora, but also close to a railway station, so we can travel to collect the trailer and recover the boat. I decided to start from Plymouth, as this offers a number of good launches, railway stations and is a good starting place for a passage. It also offers plenty of fall-back options if the weather is not kind. 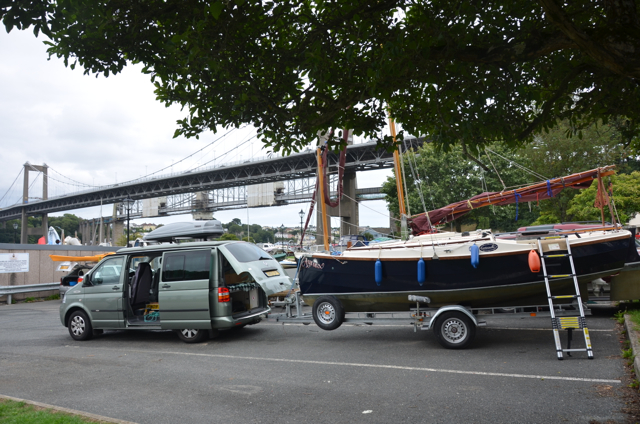 I decided to try a new place and after consulting the excellent “Good Launch Guide” and google earth, chose Saltash slipway as my starting point. This has a good slipway and a waiting pontoon, as well as a trailer and car park. However, when I arrived, I discovered that the parking was free for 12 hours and the trailer park was permit only. However, after asking a few locals, one said, “well, it’s fine to park on the road, but I tell you what, I have some space in the off-road parking at my apartment block. You can leave the trailer there”. So that’s how it was. 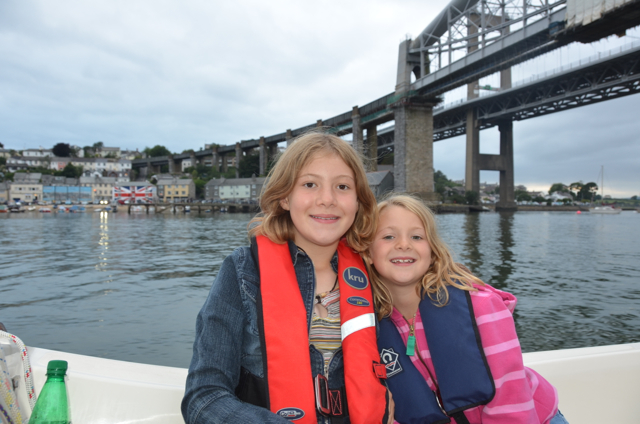 I rigged the boat, finishing at low tide, so we (Aimee, Alice and I) explored what Saltash had to offer. A station up the hill, two impressive bridges, a large cross and some excellent local ice-cream, it turns out. Having determined where the former was located, enjoyed the view and sampled the latter, we returned to the boat for tea. Aimee prepared an excellent pasta-sauce-chorizo concoction and by the time we had washed up, there was enough water to launch. By this time, the slipway was busy with various types of craft from large RIBs to flocks of canoes and most things in between. I asked a canoeist if this was usual and he replied that though he would expect a fair bit of traffic on an August evening, there were lots of people going to see the fireworks.”Fireworks?”, I asked. He explained that the British Fireworks Championships were kicking off tonight. “Championships?”. Yup, it turns out that there were 4 displays in the offing tonight, by way of a competition. 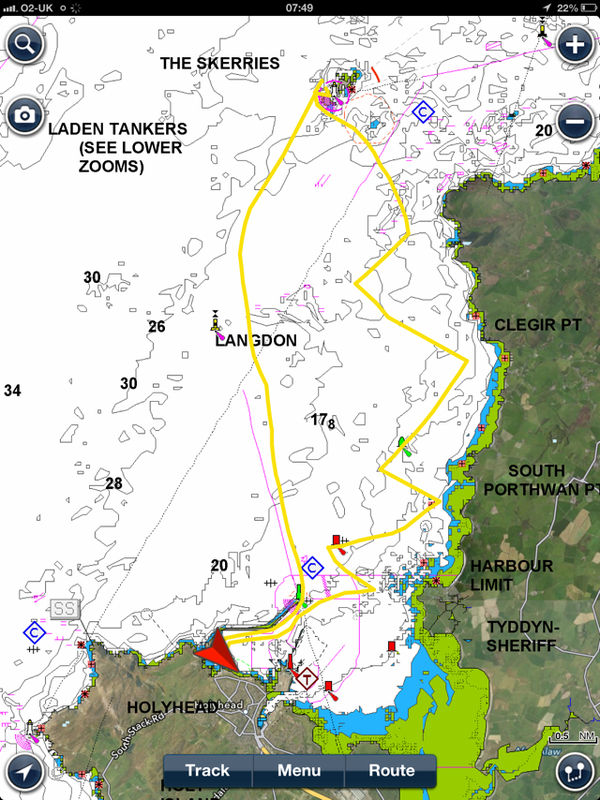 So we found ourselves motoring down the Tamar, having tucked van and trailer in an out of the way spot, admiring the warships and submarines in the naval dockyard and passing another Cape Cutter 19 (“Nonetheless” of Saltash SC) at her mooring, we dropped anchor in Barn Pool. 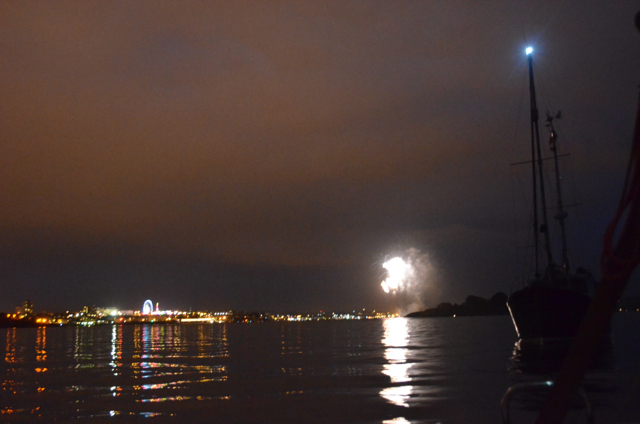 The fireworks displays over Mountbatten certainly impressed the girls and were incredibly loud, even at that distance. The city, with its brightly-lit fun fair on the Hoe, made a wonderful backdrop to the display. At 2230 when the display had finished, there was an astonishing parade of boats (well lights and roaring engines) as dozens of craft returned up the Tamar, leaving the anchored crowd rolling crazily in their wake. Trailing a substantial trailer like Aurora’s is more challenging at night. Not being able to see the boat clearly doesn’t help and I’m concerned that other drivers don’t see the trailer or misjudge its size. To this end, a quick trip to eBay turned up some LED lights (red facing backward and white facing forward) which I fixed to the ends of the trailer board. This shows drivers the width of the trailer and should mean that I can see the back of the trailer in the rear view mirror. It should also mean that oncoming drivers should be able to see the trailer.